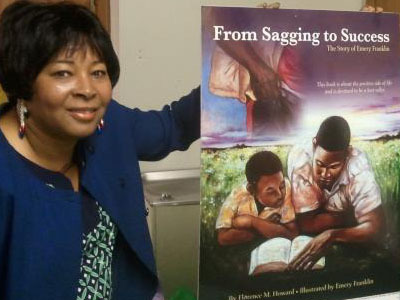 From Sagging to Success, the book written by Florence M. Howard, contains 15 photos of paintings -- all by fine artist Emery Franklin from his Crossroads: From Sagging to Success oil painting series. I publicized his exhibition held during Black History Month at the Benjamin L. Hooks Central Library in Memphis. He asked me if I could put the paintings in a book so that more people, especially youth, would have access to it. The book is historical beginning with African American history -- the Emancipation Proclamation, Reconstruction, the Civil Rights Movement and the 1968 Memphis Sanitation Workers Strike that brought Dr. Martin Luther King Jr. to Memphis. The first painting is "The Black Man" and it shows a former slave lying on the sands of African with a chain still dangling form his arm to symbolize that although his body is free, his mind is not. He is sagging mentally. We view Black History in the paintings through the eyes of Derrick, the guy reading with his son over the cover of the book. That is the last painting in the series and it symbolizes success, the transfer of mental, emotional and financial health and well-being to the next generation. 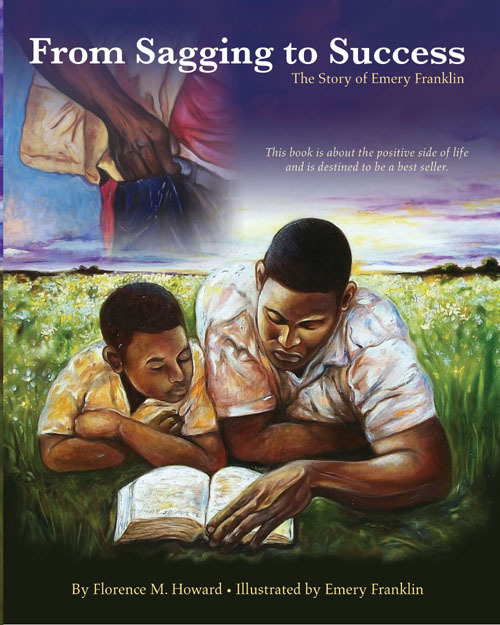 The book will intrigues you as you look into the mind of artist Emery Franklin. You get to read his personal story of going "from sagging to success" while you see Derrick's transition from sagging to success in the paintings in the book. Be inspired.